If you are interested in exploring all of Antwerp then you can use the Antwerp City Card as your guide. The card will open some of the nicest, tastiest and most surprising doors of the city to you for free or at a discount. Antwerp has a lot to offer so with this card you can see all the best parts the city has to offer in a short space of time. The Cathedral of Our Lady, Rubens House, the MAS museum are some of the included attractions to the Antwerp City Card. You can also use public transport free of charge as long as your Antwerp City Card is valid. 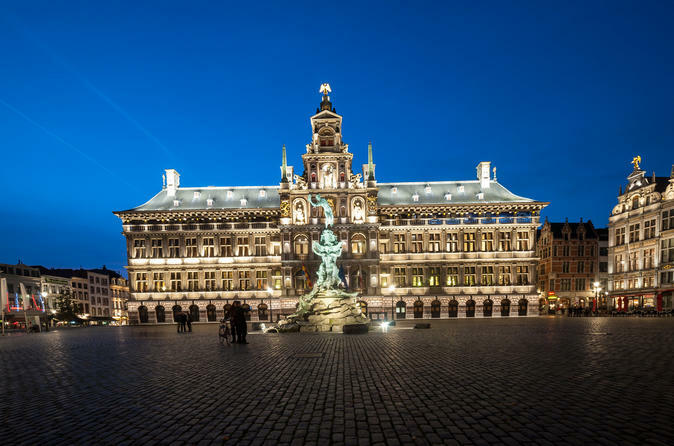 There are also discounts on bike rental, in chip shop and a free ticket to visit De Koninck city brewery, where you can try Antwerp's most famous beer, called "Bolleke". See what the Antwerp City Card has in store for you. The discounts are valid until the end of January 2018 and public transport is included in the Antwerp City Card. Free admission to the following museums (including temporary exhibitions): Rubens House, MAS | Museum aan de Stroom, Red Star Line Museum, MoMu | Fashion Museum, FOMU | Photo Museum, M HKA | Museum of Contemporary Art Antwerp, Museum Plantin-Moretus, Museum Mayer van den Bergh, Library Hendrik Conscience, House of Literature, Maidens’ House museum, Eugeen Van Mieghem Museum, Middelheim, Museum Butcher’s Hall, Rockox House, Stampe & Vertongen Museum. Free admission to the following churches: Cathedral of Our Lady, St. Paul’s Church, St. Andrew’s Church, St. James' Church.